Peace and blessings of Allah be upon his Ehli Bayt, the family of the Prophet, his companions and upon all of those who pursue his path, with patience, wisdom and justice until the Day of Judgment. Patience is the best virtue, which it helps man and gives him the opportunity to achieve the goals and objectives of his life. Those people who have been deprived of this virtue, they will not have any success in their lives nor will they achieve their goals in their lives. Moreover, we know that the main reason of a believer in this world is the pleasure of Allah and this can only be attained or achieved by faith and by implementing the duties which God has imposed on us. One among these duties is patience in times of misfortune and trial in which Allah tries His servants in this world. The word “patience” has been mentioned in the Quran approximately 100 times, such as “give glad tidings to the patient”, “Allah is with those who have patience”, “Allah loves those who are patient” and so on. And is there a greater honor and kindness to be loved by Allah? How cannot patience have this high position, when we well know that without this patience, nothing can be achieved in this world? 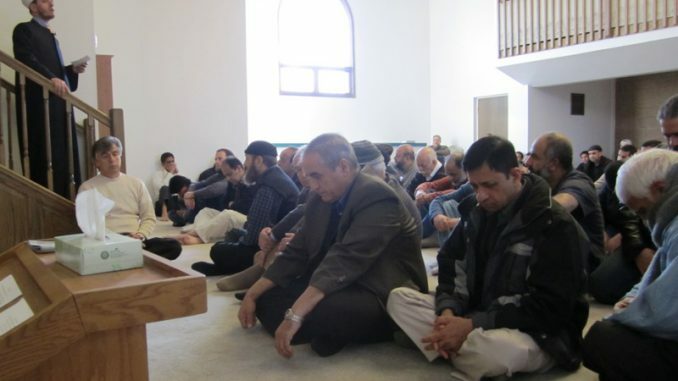 Because, to pray salat requires patience, to fast requires patience, to go to pilgrimage requires patience, to sacrifice for the sake of Allah requires patience, to seek knowledge requires patience, to respect your parents requires patience, to behave properly with people requires patience, to vanquish lust requires patience, to deceits from evil requires patience, to keep your anger requires patience, to guard against forbidden things requires patience and so on. Therefore, when you want to perform some good deeds, or when you refrain or guard against an evil deed, you require patience, that is why without this virtue a man cannot achieve anything in his life. While Allah tells us from the lips of Yusuf that a person who abstains from evil things, has patience and does not fall into a trap of lust in this world, God will reward him in this world, and in the hereafter, as He rewarded Yusuf giving him a high position in this world and made him distinguished in the hereafter as well. Furthermore every believer, specifically the youth, but others as well, if they want to extract a lesson as how God helps, protects and rewards those who have patience let him read the Chapter Yusuf carefully. In this Chapter, God tells us how He rewards parent, who has patience in the loss of his son, and also how He rewards the young who guards himself and patiently preserves from the trials of this world. Brothers and sisters, the Prophet (a.s) has told us that God Almighty tests His servants according to their grade or level of faith which they have. First, who are tested most and more in depth are the Prophets, then his companions, then people who are devoted and so on. With this hadith we understand that God does not test the people because He hates them, but He tests those whom He loves. And why does God test His servants? Because with those trials He cleans them from their sins and elevates them into paradise. Many people, of which have been tested a little, or they have not been tested in this world, and those who have been tested, in the Day of Judgment when they will see the great reward that trials of the world have, they will wish that God would have tested them much earlier and more in this world. That is why anyone of us who sees himself tested in this world, let him thank God and be patient, because Allah has prepared for him a great reward for those who preserve patiently, and who is patient and thankful to God. Indeed it is painful for a parent the death of a child, but for the man who believes that there is a hereafter, when we’ll abide forever and it will be rewarded for his faith, patience and the good deeds he did in this world, he with the help of Allah, not only has it much easier but with the mercy and goodness of Allah has guaranteed paradise. من دفن ثلاثة فصبر عليهم واحتسب وجبت له الجنة . فقالت أم أيمن : أو اثنين ؟ فقال : أو اثنين . فقالت : وواحد ؟ فسكت ، ثم قال : وواحد . أخرجه الطبراني في الأوسط . In the past there were such people, while listening to these hadiths of the Prophet (a.s), which tell the goodness and the rewards of patience, they wished and prayed to Allah to give them children then to die in order to enter paradise for the sake of the children. Although we are forbidden to ask Allah to test us, but if He tests us, then we should ask Him to give us patience and reward. Dear brothers and sisters, alhamdulilah, praise is to Allah that He made us Muslims and this is indeed a great mercy, if we understand it. Verses and hadiths that speak of this goodness are many, but time does not permit, but to cite only a few. فقد ورى الترمذي وغيره قوله صلى الله عليه وسلم: إذا أحب الله قوما ابتلاهم. وصححه الألباني وغيره. قال عليه الصلاة والسلام : … ومن يتصبر يصبره الله ، وما أعطي أحد عطاء خيراً وأوسع من الصبر . رواه البخاري ومسلم .